"I am delighted to tell you how happy P.K. and I both have been working with BooksOnDemand.com. We had several test book printed at a local printer first. They did a good job, but were quite expensive. P.K. did quite a bit of research and thought BooksOnDemand.com would give us a good product, with quick turnaround and at a reasonable price. BooksOnDemand.com did just that, but the thing that stood out for us was the quality of our interaction with the BooksOnDemand.com staff. The book is beautiful. A copy editor/friend who bought the first one told us of two corrections and we made them in the second printing. All our correspondence with BooksOnDemand.com by phone or email was friendly and helpful, which we have only had with a handful of very customer-oriented companies over the past 15 or so years. It is such a pleasure to deal with your organization, which is located not too far from where my daughter lives. Because of that, on our way to the National Wellness Institute's annual..."
The image of your business or agency is reflected in your publications-- whether in print or digital media. At BooksOnDemand we are experts at producing corporate materials on time, at reasonable cost, and with the quality to represent your work with pride. The Printing House staff can consult with you to choose the optimal specifications for your project: whether you need a heavyweight paper stock, a unique book size, special binding/finishing, lamination, or custom flash drives in digital format – The Printing House has the expertise to guide your project from design to production. By coordinating your entire project with The Printing House you'll save time and money, while finding unique solutions to suit your needs. Our goal is to make the process as effortless and stress-free as possible for you. We can work with you on your annual reports, conference proceedings, membership directories, journals, and other publication needs in print and digital formats. Our quick turnaround, excellent price and guaranteed on time delivery to anywhere in the world has made us a leader in the corporate, agency, and association marketplace for high page count, short-run books and digital media. 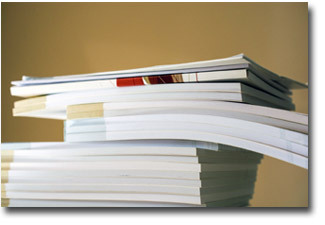 Whether your file is Mac or PC, our proven professional staff can turn it into the finished publication you need. While we do not provide editing or proofreading, The Printing House will be a “second set of eyes-- we inspect each page for consistency in margins, page breaks, and formatting. Many of these are items we can fix without interrupting your hectic daily schedule. If content raises questions-- did you intend to spell the chapter heading that way?-- we will contact you before any changes. Our current workflow, based on industry-standard PDF solutions, offers the ability to respond quickly to customer alterations and schedule changes. Contact us today-- one phone call or email gets you started. From your free estimate to your finished format, The Printing House is your partner in publication.